Did a search on the site, didn't come up with much. Asked in the plus forum, didn't get much response. Maybe I'll turn up some info here. So, any feedback on the Haro Shift Plus full suspension plus bike? Anyone tried one or own one and can post a review? Weight, climbing ability, descending prowess, etc. I recently got a Niner ROS 9+ that is set up rigid and singlespeed. 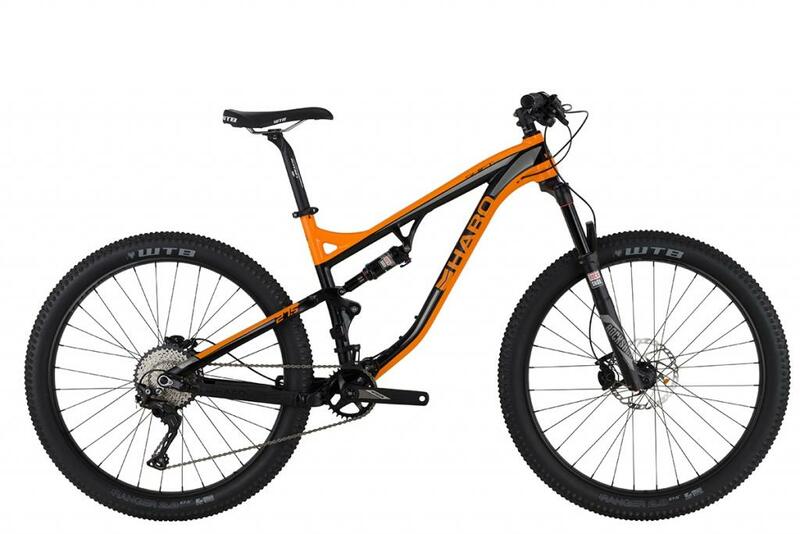 I want to replace my 29er full suspension with a plus full suspension, and the Haro is at the top of my list, mainly because it's a great price for the listed spec. I plan to order it as soon as the next round of 2017s are available at the end of the month, but thought I'd see how people were liking the 2016 models (or if they already have their hands on a 2017 model). I'm actually thinking of replacing the front wheel and fork and putting a 29+ wheel, fork, and tire on the front. Provide a little better rollover, slacken the head angle a touch, and raise the bb a hair. If you have or have ridden the Shift Plus, how do you think it would ride compared to how it rides now? Well, I got this bad boy all together, just need to get it dirty. 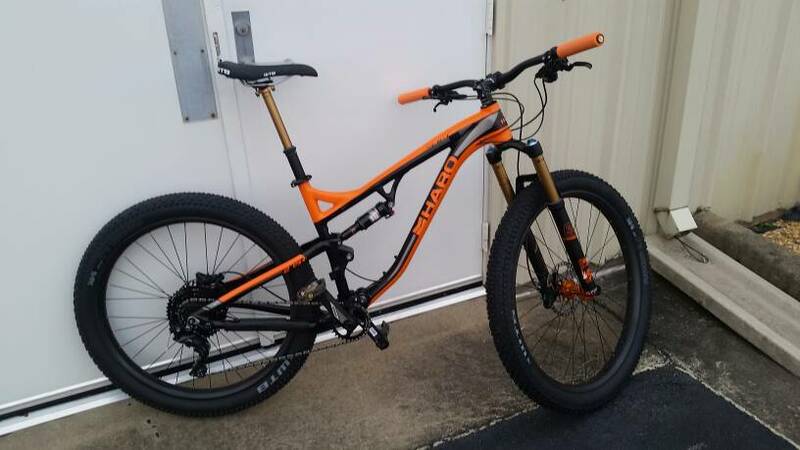 Fox 34 27.5+ fork on the front with carbon 29+ rim laced to orange hope hub (matching 27.5+ rim and hub on rear). Fox transfer dropper. E13 cassette with extended range (9-44). So, not really stock at all! looks like a fun setup. how do you like the 29+ / 27.5+ combo? Nice build up. I designed the graphics and paint scheme for that bike like 2-years ago, pretty cool seeing them all out now. I like it. Actually, I'm pretty glad I did it. It's very rocky around here, and even with the 29+ on the front end, raising the bb a little, I still get quite a few pedal strikes. The big wheel in front provides a ton of confidence, too, riding down through the rough stuff. It is a cool paint scheme. I just got a '18 but not the plus. You still rockin' this? You work for Haro or were you/your company a hired gun? Yep, I'm still rocking the shift plus. I like it quite a lot. Just need opportunity to ride it more! Which FD for a Haro Shift R5?